Exposure in utero has been suggested to influence health later in life. 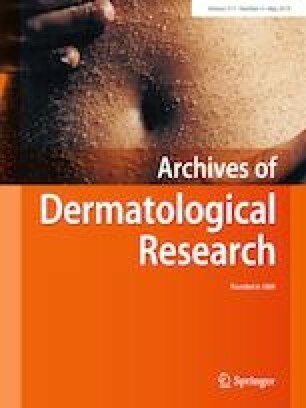 The aim of this study was to investigate, if the use of prenatal food supplements was associated with atopic dermatitis in the offspring. Mothers who gave birth in the hospital G. B. Grassi were invited to participate in the study (n = 395). Information on socio-demographic characteristics, clinical data of the mothers and babies, vegetables and fruit intake, food avoidance, and food supplements use during pregnancy, depression status, and environmental exposure was obtained for all subjects in the hospital at the time of delivery. Data on breastfeeding practice, introduction of weaning foods, day care attendance, and atopic dermatitis were collected in the postnatal follow-ups. Logistic regression was applied to estimate odds ratio (OR) and 95% confidence intervals (CI). Children in which mothers used both iron and folic acid supplementation had a fourfold decreased risk of developing atopic dermatitis [OR = 0.22; 95% confidence interval (CI) 0.06–0.79, p = 0.02], after adjusting for possible confounding factors. Findings suggest an independent and protective effect of prenatal folic acid and iron supplementation for atopic dermatitis in children. This work was supported by the Lazio Regional Health Authority and by the Progetto di Ricerca 4.2, Atopic Dermatitis, Italian Ministry of Heath, 2018. The authors declared that they have no conflicts of interest to disclose. Informed consensus was obtained from all participants of the study.